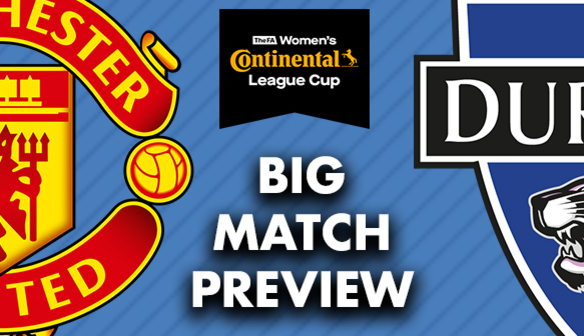 Durham Women play their final Continental Cup game as they travel to Manchester United on Wednesday, December 5. The Wildcats still have a chance of qualifying for the knockout stages of the competition as they prepare to make the trip to Leigh. It will be the first of two meetings between the two teams this week, with Manchester United then coming to New Ferens Park on Sunday, December 9. New to the FA Women's Championship this season, Manchester United Women look set to be a strong force after recruiting several high-profile players. Manager Casey Stoney has assembled a squad packed with quality, including England internationals Alex Greenwood and Siobhan Chamberlain. Three of the top scorers in last season's FA WSL 2 - Jess Sigsworth, Kirsty Hanson and Charlie Devlin - have also joined the Red Devils, giving them considerable strength going forward. United have an unbeaten record in the FA Women's Championship so far, and currently sit top of the pile with a game in hand. The two teams have only met once before - with Durham claiming a hard-fought and well-earned 0-0 draw at Leigh earlier this season. They remain the only points the Red Devils have dropped in the Championship so far. The match will be played at the Leigh Sports Stadium, Sale Way, Leigh, WN7 4JY. Kick-off is at 7pm on Wednesday, December 5. For fans travelling by car, the SatNav postcode for the ground is WN7 4JY. There are no train stations anywhere near the ground, but buses are available from the centre of Manchester to Leigh. 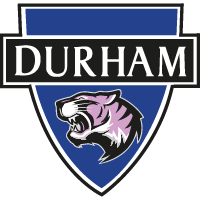 Our official Twitter account (@DurhamWFC) will be providing updates on the match. You can follow the updates and get involved in the match day discussion by using the hashtag #MANvDUR. We'll also be posting behind the scenes content on our official Instagram account (DurhamWFC) and on our Facebook Page.